Belvedere Vodka is the product of 600 years of Polish vodka-making tradition. It is crafted in a distillery that was established in 1910 called Polmos Zyrardów, which is located in the heart of central Poland. With one of the world’s most strict production regulations, there can be no shortcuts in making Polish Vodka. Every step of production must occur on Polish soil with locally-sourced raw ingredients and have zero additives in accordance with “Polska Vodka”geographical indication requirements. 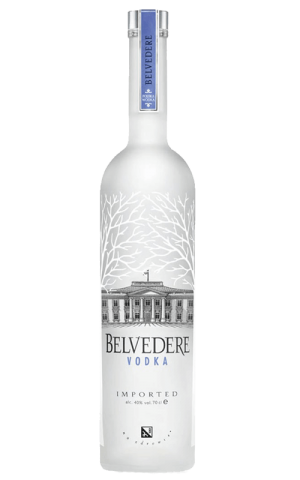 Belvedere, which means “beautiful to see” is named after the Belweder Palace in Warsaw, which adorns every bottle as a reminder of the brand’s heritage. (BELVEDERE)RED limited edition bottles continue to support the Global Fund to help fight HIV/AIDS in Africa – bringing us even closer to a world without AIDS. Together, we’ve raised enough money to provide 30,000 HIV-positive women with access to life-saving ARV treatment that stops the transmission of HIV to their children. Belvedere Vodka is the only vodka brand to be awarded the Positive Luxury Butterfly Mark, in recognition of its commitment to quality craftsmanship, positive brand values, and environmental responsibility. This unique trust mark and seal allows consumers to instantly recognize Belvedere Vodka as a brand that cares about the environment. Through passion and dedication to our craft, Belvedere Vodka is the most awarded luxury vodka portfolio. 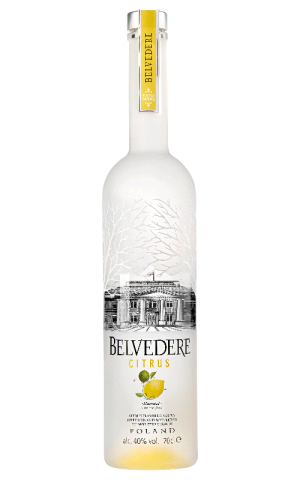 Belvedere has been recognized by the likes of the Vodka Masters, TheFiftyBest.com Vodka Awards, and the International Spirits Challenge, who awarded Belvedere “Vodka Producer of the Year” for each of the past three years. Check Belvedere website for the latest & greatest in vodka. Visit Belvedere YouTube channel and check out the latest videos. Visit official Belvedere Facebook page for awesome deals & new arrivals.